LISTEN. I UNDERSTAND. YOU’RE SPEECHLESS. YOU’RE IN THE PRESENCE OF A HUGE STAR. YOU’RE OVERWHELMED. I........ MIND YOUR TONGUE, BOY. 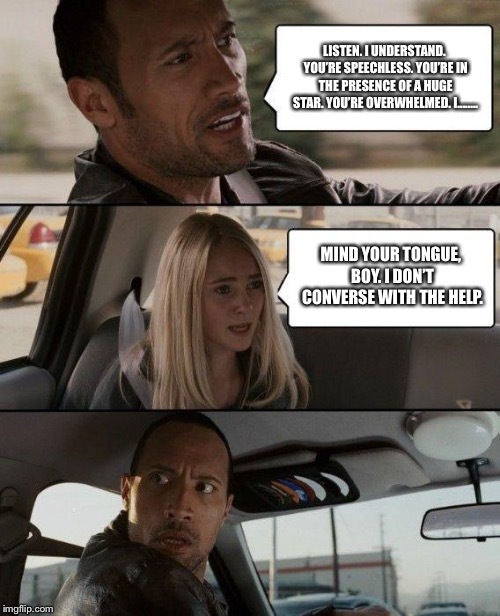 I DON’T CONVERSE WITH THE HELP.